“I”, “our”, “us”, or “we” refer to the business, Assy Kay. We are exempt from registration in the ICO Data Protection Register because this is currently being processed. subject to automated decision-making including profiling. We do this by placing a small text file on your device / computer hard drive to track how you use the website, to record or log whether you have seen particular messages that we display, to keep you logged into the website where applicable, to display relevant adverts or content, referred you to a third party website. Some cookies will be saved for specific time periods, where others may last indefinitely. Our website may contain adverts, sponsored and affiliate links on some pages. These are typically served through our advertising partners; Google Adsense, eBay Partner Network, Amazon Affiliates, or are self served through our own means. 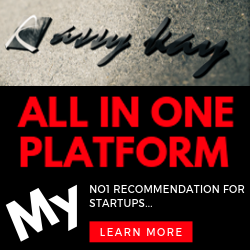 Clickable sponsored or affiliate links may be displayed as a website URL like this; www.assykay.com or as a titled text link like this: Logo Design Software. Your actions are usually recorded as a referral from our website by this cookie. In most cases we earn a very small commission from the advertiser or advertising partner, at no cost to you, whether you make a purchase on their website or not. See any marketing messages for instructions on how to unsubscribe or manage your preferences, you can also unsubscribe from all MailChimp lists, by following the link when you receive an email from us, otherwise contact the EMS provider. Privacy Notice Policy Base: v.1.0 Jan 2019 – Made available without liability by Assy Kay.